I am learning to crochet. I know, I know. I already knit. And tat. And sew. And do beads. And jewelry. The list goes on. I don’t need to add another craft. But I think I just did. It’s the oddest thing. My mom tried to teach me to crochet when I was little, but it didn’t really take. I could crochet to save my life, but that was about the only thing that could induce me into it. For years I continued like this. And then recently I had this slight urge to learn to crochet. So I got a book from the library and asked a coworker to teach me. Although, it seems more like she refreshed my memory. After some basic explanation I took to it pretty quickly. It is strangely like deja vu as I watch my hands create the same motions I watched my mother create when I was a child. Maybe at that time I just wasn’t ready to crochet. Maybe now I am. Thank you 🙂 They are so bright and happy! 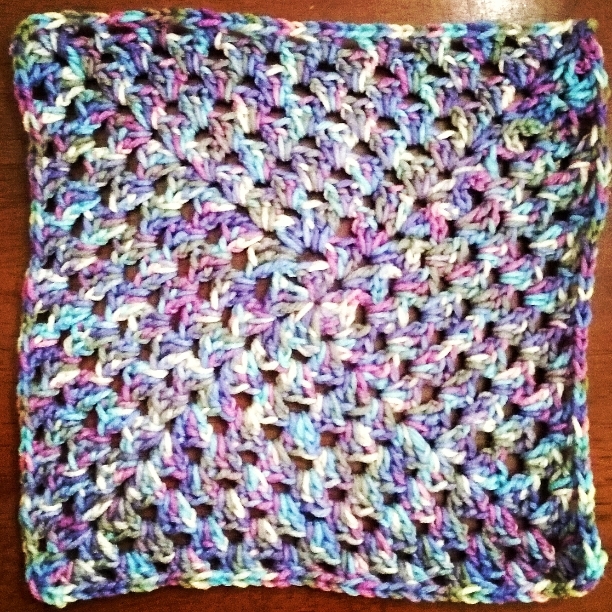 Next Next post: Introducing the Birthday Cowl!